It warms the cockles of our heart to see more of these astute, sensitively written and very necessary picture books coming through. As we witness the apparent detrimental changes to our planet and the ensuing damage to our ecosystem, books like this provide the motivation and drive to inspire change throughout a generation. 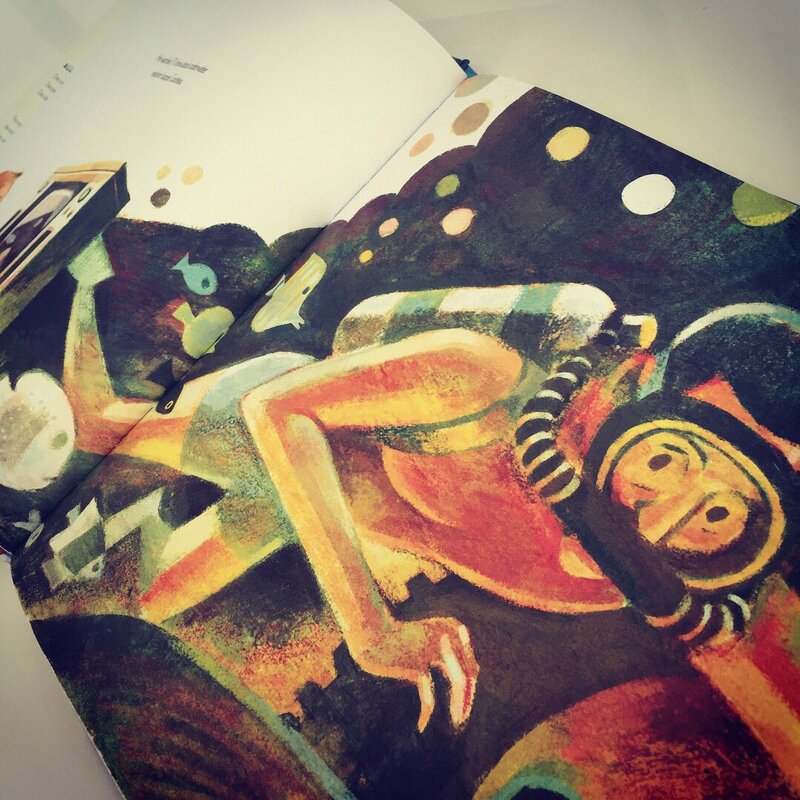 ‘The Brilliant Deep – Rebuilding The World’s Coral Reefs‘ promotes the on-going efforts to save and rebuild our coral reefs around the world in glorious technicolour. 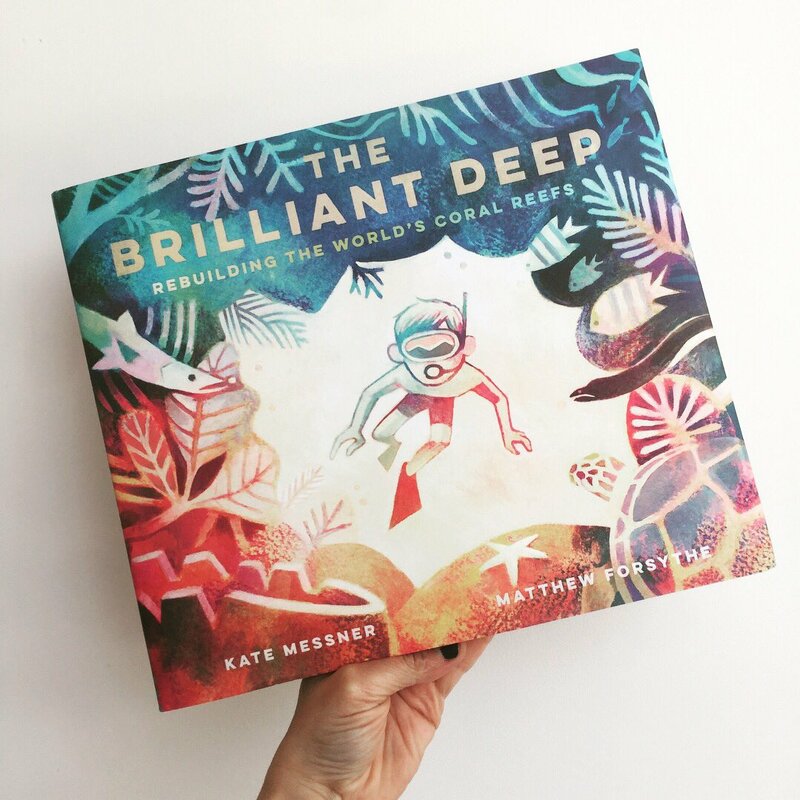 Kate Messner‘s hopeful story follows the astounding plight of one man to save and restore the coral reefs and sheds light on his tireless work using hammers, glue and newly grown coral. Ken Nedimyer, son of a NASA engineer, took it upon himself to research the dying corals and began experimenting by transplanting staghorn corals that had grown in his own rock farm. Such a poignant story and one that is crying out to be shared with a younger audience, so that they may play an integral role in the future development of our weakening ecosystem. Matt Forsythe‘s illustrations are full of depth, texture and warmth. They complement the hope and promise that this tale portrays and his use of light and shade adds to the dramatic backdrop to this narrative. An ecologically sensitive read and one which highlights the importance of making a difference, the reader can’t fail to comprehend the core message in this true story. 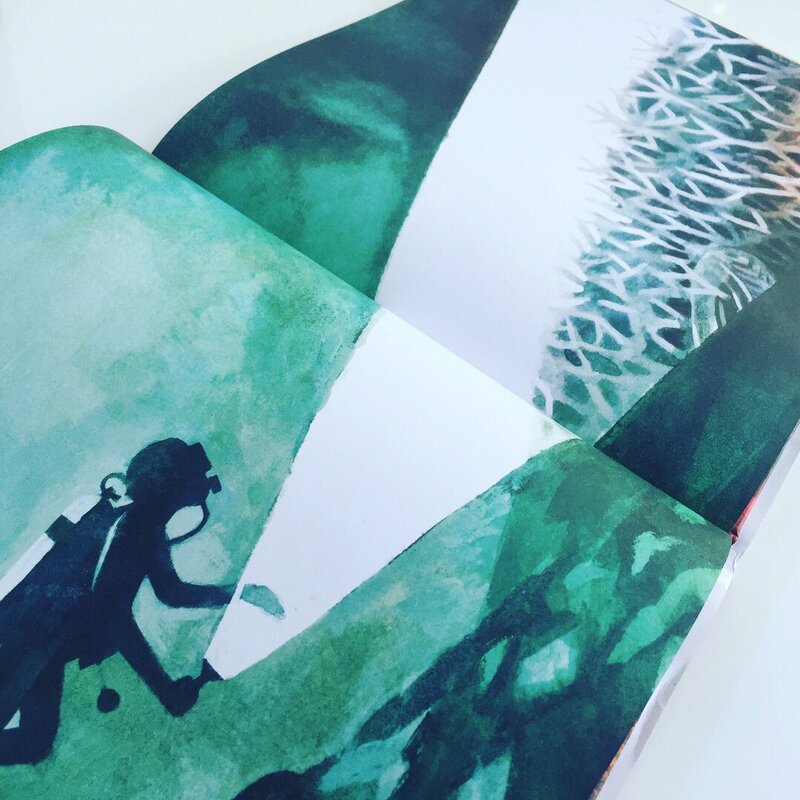 Sumptuously illustrated and empathetically written ‘The Brilliant Deep’ provides a much needed prod to our consciences to save our wonderful but struggling nature.